Hope. It is the part of ourselves that NEVER gives up. Subtle beauty. 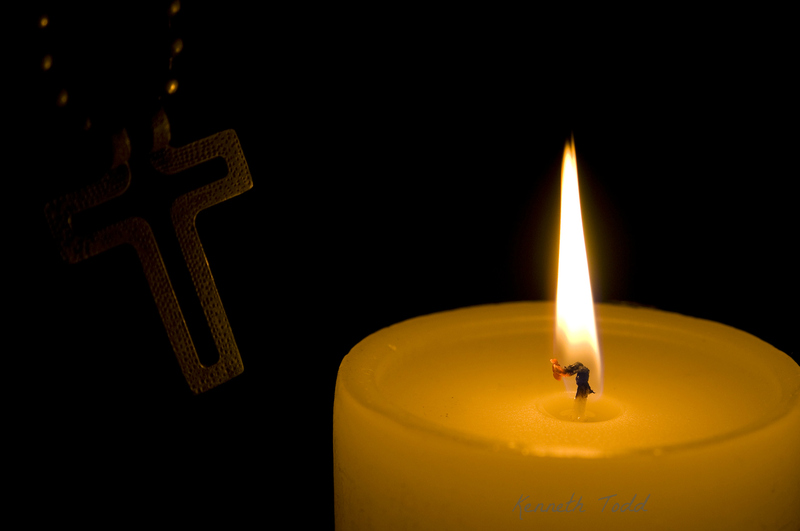 The candlelit image of the cross is lovely. I like this one too. Thanks Gina. Kenneth -so many of your photos are ‘wow’, but this one reminds me of the one you did of the marriage book in the fire pit. Tecnically terrific &…Inspirational. Thank you! Thank you Virginia. I am amazed that you remember my past images. That is pretty humbling for me. Thanks for that. May the Light that you are, continue to shine, Kenneth. candle shots are one of my faves and this is a great one ! also subtle signature as usual 😉 .. have you tried out brown instead of green ?